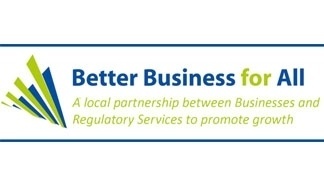 A Better Business for All (BBfA) programme is being developed in East and West Sussex to help businesses easily access support from regulators. It is also being established for regulators to understand how it feels to be regulated in East and West Sussex and determine the support required and how best the support and advice can be delivered. BBfA is a programme that brings together businesses and regulators - often for the first time - to consider and change how local regulation is delivered and received. It involves the creation of groups in specific areas that then shape the way support is provided to businesses by local regulators. Membership of the East and West Sussex groups includes leaders from local business organisations including the Chambers, local authorities, the Local Enterprise Partnership and local authority regulatory services - including Planning, Fire Safety, Food Safety, Health & Safety, Environmental Protection, Trading Standards, Waste, Care Quality Commission, and Licensing. Our aim is to extend the group to include national regulators with a regional presence. What are the main benefits of BBfA for me as a business? What does BBfA mean for me as a business? It means you can trust that your local regulators are keen to understand your business: what you are trying to achieve and how they can support you to be compliant with the law in doing this. Through BBfA your local regulators are committed to listening to your issues, working with you to resolve these and supporting you to do business in a productive way. If there is something you like about the way you are regulated please say and if there are things that don't work for you let's hear them and see what we can do to change these together. Advice, guidance, news, templates, tools, legislation, publications from Great Britain's independent regulator for work-related health, safety and illness; HSE. BAASP is a partnership of regulatory services (Trading Standards, Environmental Health, Licensing and Fire & Rescue) across the South East that shares knowledge, resources and expertise to provide the best support and advice for local businesses.